Prior to the 1834 Act, Headington had a parish workhouse at Titup, in a former inn situated on what is now Old Road — formerly the main road to London. Headington Poor Law Union was formed on 15th September 1835. Headington was not an obvious centre for a new union. Its creation resulted from the Poor Law Commissioners' failure to find a satisfactory allocation of parishes to the adjacent Thame and Bicester unions. The City of Oxford Incorporation, created by a Local Act in 1771 and whose status left it untouched by the 1834 Act, provided a solution to the problem. The Incorporation's membership comprised only eleven of Oxford's fourteen parishes, omitting St John the Baptist at its centre, and St Giles and St Clements at its perimeter. The Incorporation was approached by the PLC's Assistant Commissioner Edward Gulson to discuss the possibility of its conversion to a Poor Law Union which would include the additional three parishes. The Incorporation decided to retain its Local Act status and take in St John the Baptist, which lay at its centre, but not to add the outlying parishes of St Giles and St Clements. The apparent reason for this was that the Incorporation had a contract with the City for its paupers to clean all of Oxford's streets, including those of its non-member parishes, for which it received a net annual income of £600. This revenue would be lost if the Incorporation took on St Giles and St Clements. These parishes therefore formed the basis of the new union based on Headington, chosen as being near to the Oxford parishes where a large proportion of its population resided. Oxfordshire: Beckley, Chippinghurst, Cowley, Cuddesdon, Denton, Elsfield, Forrest Hill, Garsington, Headington (2), Holton, Horspath, Iffley and Hockmoor, Marston, Oxford St Clements (2), Oxford St Giles (2), Shotover, Stanton St John, Stowood, Studley and Horton, Wheatley, Woodeaton. Later Additions: Oxford St John the Baptist (from 1836), Littlemore (from 1879), Cowley St John (from 1894). The population falling within the Union at the 1831 census had been 12,055 with parishes ranging in size from Stowood (population 26) to Oxford St Giles (2,855). The average annual poor-rate expenditure for the period 1833-35 had been £7,654 or 12s.8d. per head of the population. 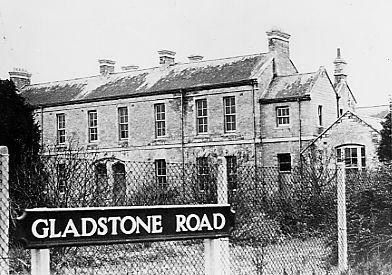 The new workhouse was built 1836-7 to a design by George Wilkinson of Witney, on a seven-and-a-half acre site on the south side of the London Road — a little to the west of the Headington Quarries. It was built from local stone at a cost of around £3,300 and was designed to accommodate 250 people. Its location and layout can be seen on the 1921 map below. 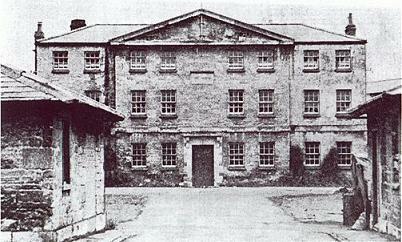 Wilkinson designed several other workhouses in the area including Chipping Norton and Witney. However, the Headington layout is much more typical of the designs of Wilkinson's rival, Sampson Kempthorne, who was the architect of the nearby workhouse at Abingdon. The hexagonal design was one of the model workhouse plans produced by Kempthorne for the Poor Law Commissioners. It comprised an entrance block (at the north, facing towards the London Road) behind which lay three wings radiating from a central hub in a Y formation. The wings provided segregated accommodation for the different classes of inmate (male/female, infirm/able-bodied, children etc.) with areas between them divided up into separate exercise yards. The supervisory hub contained the master's quarters and provided views over the yards in all directions. Originally, the workhouse infirmary formed the southern side of its hexagonal perimeter. 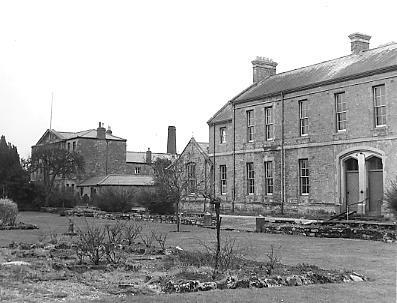 However, a separate infirmary was subsequently erected at the west of the workhouse. The single-storey blocks flanking the entrance, presumably casual wards for vagrants, were another later addition. According to Edna Mason (1989), there was a fair turnover of staff in the early years of the institution. Things looked set to change with the appointment of John Smith as workhouse master in 1848. Under his regime, the gardens were developed with the men cultivating vegetables and the women working on the rockery. Fruit trees were also planted. His period of office came to an abrupt end when his wife, the matron, discovered him in compromising circumstances with a former school-mistress whom she had dismissed two years earlier. From around 1904, to avoid the stigma of having been born in a workhouse, the birth certificates of children born at Headington recorded its address simply as "Hill House, London Road, Headington". After the official end of the workhouse system in 1930, Headington workhouse became London Road Hospital. 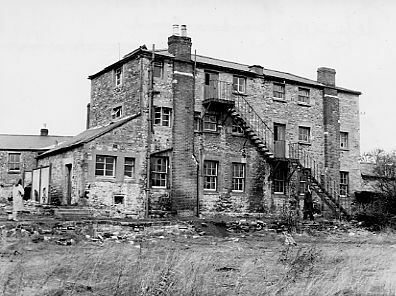 In its latter years, the workhouse it operated as an old people's home under the name of The Laurels. A flavour of life in The Laurels is provided by press-cuttings of the regular social events that took place there in the 1940s and 50s. The home was eventually closed in 1966 and demolished in 1968 to make way for a housing development. All that now remains is a solitary pillar and section of the old boundary wall at the north-east corner or the site. 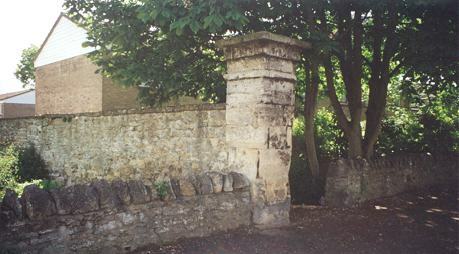 Headington remnants of workhouse boundary wall. Oxfordshire History Centre, St Luke's Church, Temple Road, Cowley, Oxford OX4 2EX. Limited holdings include Guardians' minutes (1841-1927, with gaps); etc. Bloxham, C & Shatford S 1996. Changing Faces of Headington , 1996, Robert Boyd Publications. Fenby, Charles. The Other Oxford , 1970. Lund-Humphries.